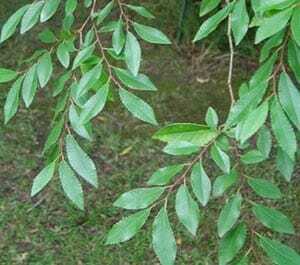 Evergreen Alder is a fast growing medium sized evergreen tree. This tree is tough and will quite often thrive where other trees have difficultly growing. It prefers soil with higher amounts of moisture and loves low wet ground. Evergreen Alder is great as it can be shaped as well as used as a windbreak. Grows to around 6 meters in height. For more information, see our Evergreen Alder/Toorak Gum Tree factsheet. SKU: AJEA05. View our Return & Refund policy.